West Elm thinks there's a revolution happening in the mattress industry -- and it wants in. The 13-year-old furniture chain is partnering with a startup at the forefront of that transformation: Casper. Casper has upended the mattress industry in just two years time. It invented a memory foam and latex mattress that comes in six different sizes ranging from $500 to $950. One of the biggest perks: there's no need to barter with sales reps. 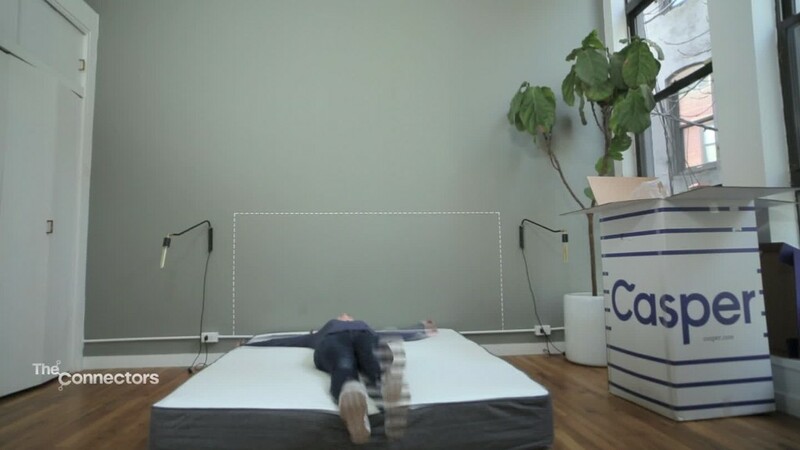 It delivers the mattress in a box straight to your house and gives you a 100-day trial. Now, it's announcing a deal with the Williams-Sonoma (WSM)-owned West Elm. Casper mattresses will be featured in all of West Elm's 77 U.S. stores by the end of July, as well as be available through West Elm's catalog and its website. According to West Elm President Jim Brett, mattresses have long been an afterthought for the company. "I'll be honest with you: We haven't really been focused on the mattress business," Brett told CNNMoney. "I would rather move faster and partner with someone who really knows the business. The guys at Casper are living and breathing that product. They're going so much deeper into the category than we typically have." West Elm has sold mattresses on its site -- but from a host of the incumbent, traditional retailers. Now, it'll exclusively sell Casper. Casper is building a lifestyle brand around sleep. Last year, it launched Casper Labs, where customers can apply to confidentially test new products in the works. The company has proven in a short period of time that it's onto something: It brought in $100 million in sales in 2015. But it also has a big market to infiltrate: The mattress industry is estimated to bring in $14 billion annually in the U.S. The deal is particularly sweet for an online brand looking to gain physical storefronts. While other ecommerce companies like Warby Parker and Bonobos have shelled out for storefronts, Casper is taking a much more cost-efficient approach. It's building out a retail experience without the overhead costs. The startup -- which also sells sheets and pillows -- has only dabbled with a physical location: It has a showroom on Abbot Kinney Boulevard in Los Angeles. "This rounds out our ability to provide the end-to-end experience," said Philip Krim, Casper CEO and cofounder, who added that he thinks the deal will be "really successful -- for them, and for us." Casper -- which has banked nearly $70 million in funding -- has been on a fast-track to build out its global sleep brand. It launched in Berlin this week -- and is slated to expand to the U.K. in August.